I've taken a lot of photos of our amazing entry light framed by the picture window on the second floor. A few weeks ago I stood in the foyer and looked up and thought "Wow! That is gorgeous! I should totally take a 365 photo of that!". So tonight I did. 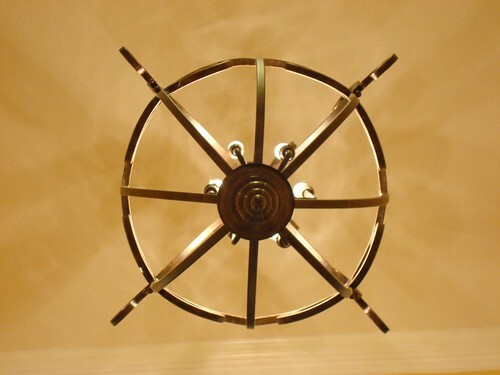 I love the depth and texture that the shadows create on the ceiling and how simple the light looks from this angle.